In today’s world, security and co-ordination during disaster management is the utmost important for any Government/Private Agency’s Command and Control Room. Command Centers in public safety, utilities, transportation, government and industry act as nerve centers for all the concerned organizations.Coordinating time sensitive, event-driven responses for everything from air traffic to military missions to emergency response operations is required but yet systems used are quite complex. Decentralization of VOICE and Radio systems can slow down the process, which can affect the organization or nation drastically. The IP command setup helps transforms the way organizations and communities protect property, critical infrastructure as well as individuals around them. It provides a practical framework and proven set of integrated PBX technologies — a Cisco Borderless Network foundation that supports Cisco Unified Communications and Collaboration tools, physical security, video, analytics, and Cisco partner solutions. Jampot Technologies thus introducing the industry’s most advanced platform with high-capacity purpose-built applications and devices that enable dispatch professionals to easily communicate and collaborate with anyone on any device over different types of network, and promises are many advantages over already existing technologies. At the very highest level, there is no longer a need to have separate networks for voice and data, communications platforms are largely software-based and thus easier to deploy, expand and manage. In this highly responsive and adaptive IP environment, disparate communications and information databases of traditional networks no longer exist. Legacy PBX systems, radios, and servers are transformed into a single intelligent network. Incoming calls, radio and video streams can be distributed via a variety of sources: cellphones, IP phones and turrets, smartphones or tablets, as compared to existing environments. 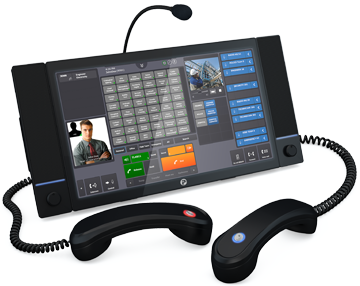 IP Command Solution is here to provide command centers with high-performance and the most efficient, call-management platform that helps improve communications across all areas of an institution. Our software-based, high-availability VoIP platform is designed for round-the-clock mission-critical environments and offers an integrated, extensible solution for the entire organization.This solution has a software-oriented architecture based on open standards, like Session Initiated Protocol (SIP), and is extensible to multiple communications technologies and information systems including voice, video, data and radio systems making it an ideal part of a command center communications solution.